This is epic. 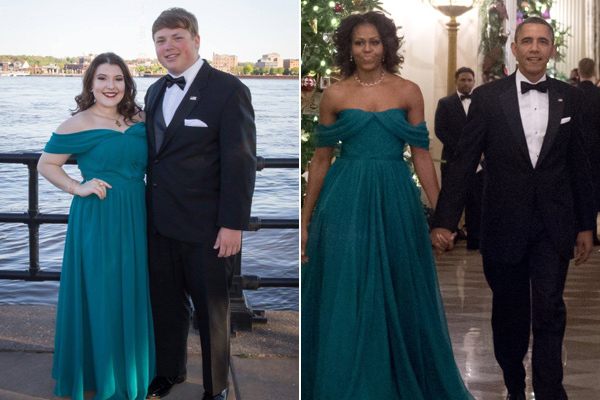 These teens channeled Barack and Michelle Obama at prom, and they are SO cool. Okay, technically they didn’t dress as the former President and First Lady, but they did channel them in their ensembles. Over the years the Obamas have turned a LOT of heads with their stunning looks. They were in the White House for eight years, so it’s been all eyes on them for a while. 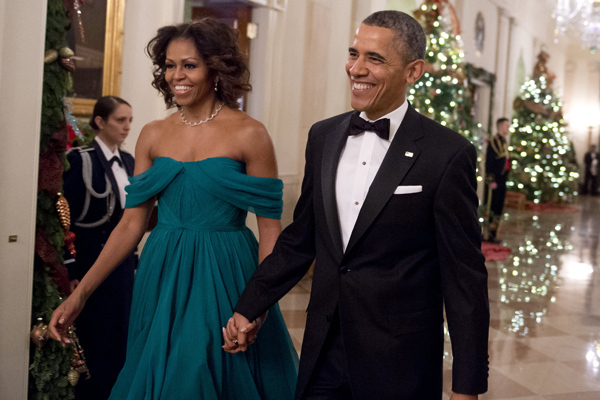 One of their most iconic looks is definitely when Michelle wore that Marchesa emerald off-the-shoulder gown with Obama in a classic tuxedo. This is from the Kennedy Center Honors in 2013. Thanks to two high school students, Cassie Berta and Seth Moffit, the looks have now made their prom debut. According to Buzzfeed, who first uncovered this style moment, this prom couple recreated the looks and absolutely slayed. “Love you to the White House and back ❤,” Berta captioned one of her sassy photos from the prom. Seriously, how on-point is this couple and their Obama ensembles? When speaking with Teen Vogue online, Berta revealed that she and her date were definitely inspired by the power couple. This wasn’t the first nod to the Obama family from this adorable couple. Moffit actually used a punny sign about the couple to ask Berta to the dance. This teen couple is just the cutest and we can’t get enough of them and this dream prom night. In fact, we just had to share a few more photos from these two to brighten your day. Couples who channel the Obamas clearly have more fun! PS: If you want to recreate Michelle (and now Cassie’s look), you can find the gorgeous dress at The Celebrity Dresses site. It’s on sale right now for $159.99!